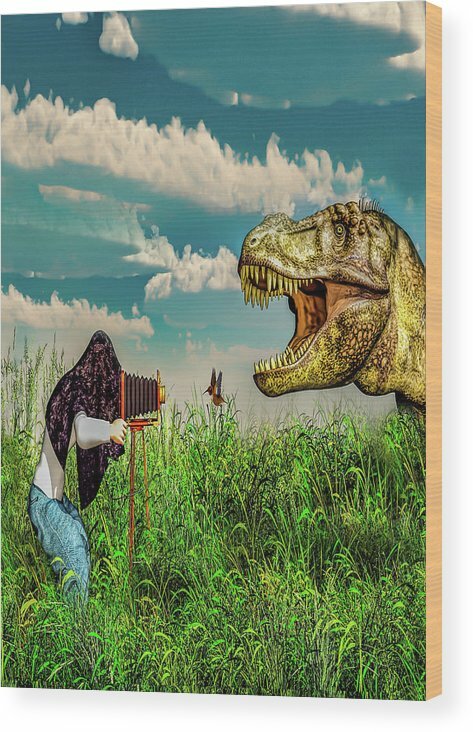 Wildlife Photographer by Bob Orsillo - 7.125" x 10.000"
Wildlife Photographer wood print by Bob Orsillo. Bring your artwork to life with the texture and added depth of a wood print. Your image gets printed directly onto a sheet of 3/4" thick maple wood. There are D-clips on the back of the print for mounting it to your wall using mounting hooks and nails (included). 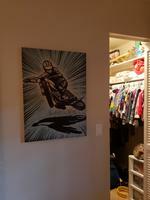 Very cool artwork, Congratulations on your sale! Fabulous concept and execution. Congrats on your most recent sale Bob. Awesome work as always! L/F! Wow, good variety of images, all well done. I like images that are a little absurd. This one is well crafted every element in the picture, including the green grass contributes to the picture. If you are looking for an artist, I would suggest you check out Bob Orsillo's web page on FAA. So that's what happened to the mouse!